We're marking the coming 14th season of Supernatural (!) 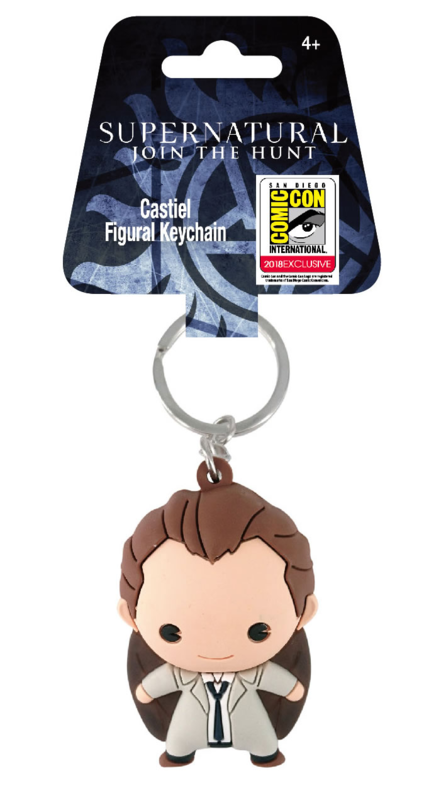 with an exclusive soft-touch 3D figural keychain of our favorite angel, Castiel. Produced for CineQuest.com by Monogram International, this 3D foam keychain features Cas with translucent black wings (a variant from the original white-winged version from 2016). 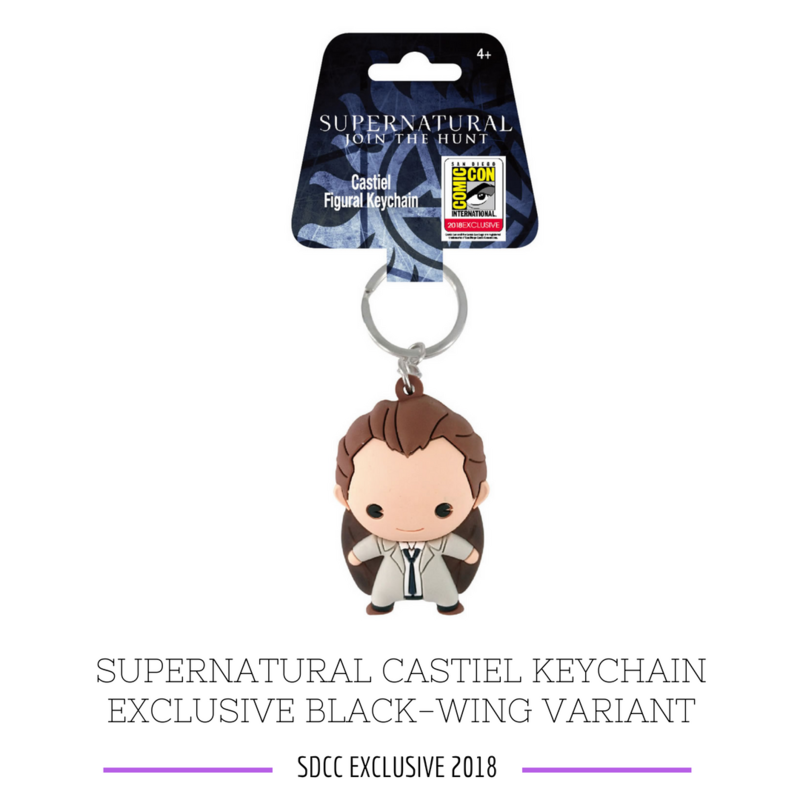 Distinguish your car keys with Cas or attach him to your backpack or bag so you'll always have a guardian angel along! This officially licensed keychain measures 2.5"-3".